Jasmine and Myk matched in May 2016 and are now married! Their story is in their own words below. How long did it take to meet up after matching? What did you do for your first meet up/date? We went to dinner at the PUBlic House in Old Town Temecula. Jasmine, what was the first message you sent on Bumble? I said, "Hello Myk! Almost my bedtime, but wanted to say hi and I'm glad we matched. Hope to hear from you!" Myk, what was your first reply back? "Thanks! Hope you slept well, how are you today?" Jasmine, how did this match feel different? There was something very genuine about Myk's communication with me - it felt like I was chatting with an old friend from the beginning. There was never any awkwardness. Myk, how did this match feel different? This match felt different because of who she was. She was genuine and by talking to her I knew that we shared beliefs and values. Jasmine, what was your first impression of Myk? How did you feel before the first date? When I saw him in person for the first time I thought, "Wow, he's even cuter in person!" I was a little nervous before the first date, but nothing compared to previous first dates. We had talked so much beforehand I felt we already had a connection. Myk, what was your first impression of Jasmine? How did you feel before the first date? My first impression of her was that she was strong-willed, cute, and smart. Before the first date I was a little nervous. The car ride took an hour to get to her, so I had a lot of time to think about how things could play out. But when she opened the door, all presumptions and ideas about what to do and how to act went out the window. I just went with the flow of the date. What do you consider a unique aspect of your relationship now? We are best friends. Myk is the most amazing "Papa" to my 8-year-old daughter, who adores him just as much (maybe more?) than I do. We're newlyweds! We got married almost exactly a year after our first date in my hometown of Fayetteville, NC. Myk is now the most awesome stepdad. We hope to add a pet and some more children to our lives in the future! 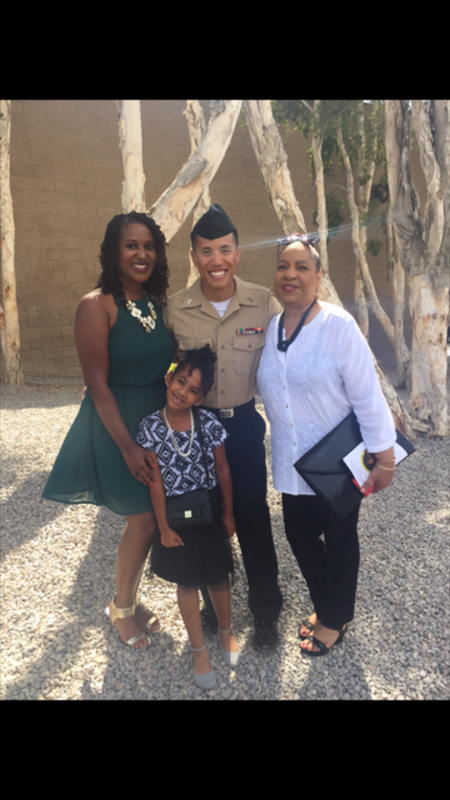 We now wait patiently to see where Myk's military career will take us next geographically. 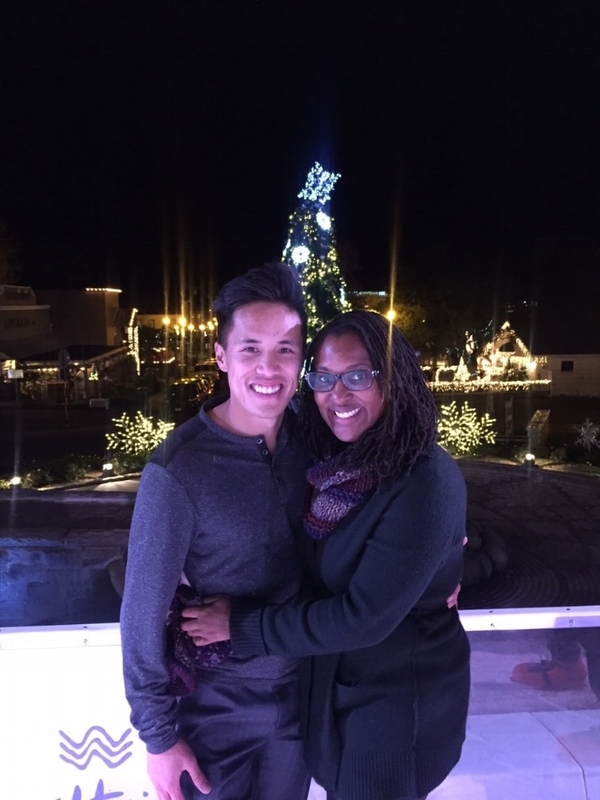 Thanks so much, Jasmine and Myk, for sharing your story! We're so happy for you two! Nothing makes us happier than hearing Bumble success stories. To submit your own success story, email stories@team.bumble.com! Ready to star in your own success story?